When you look for the reason why you are struggling with weight loss you may or may not find it, but even if you do, it won’t change anything. All it will do is make you feel bad about it and at the same time add a little more anxiety and stress to your life each time you think about it, which ultimately leads to more weight gain or loss in the case of anorexia. Now while all these conditions may be true, they cannot free you. In fact they keep you trapped in a vicious circle by reinforcing your belief system that you cannot do anything about it and many of the drug companies and even support groups attest to this… but the truth is you can! Recent research is showing that the reason many people cannot lose weight or gain weight (anorexia) lies in emotional stress triggers. They are carrying an emotional trigger (or triggers) that prevent them from gaining or losing weight. And most people struggling with weight issues are not consciously aware of this emotional stress trigger… because it is buried deep in the subconscious mind. It could have been some event (major or minor) that happened many years ago or even in childhood and your mind created this trigger to protect you. At the time when this emotional trigger was created it was the only way your subconscious mind could protect you from the threat (real or imagined) and it was the correct decision at that time. However the issue is… your subconscious correct decision made in the past is not the necessarily the right decision for today… and so now the past solution has become the present problem… and your subconscious mind, not your conscious mind, runs the show. This subconscious conditioning, of solutions to past problems, which were right at the time, are the cause of new problems and blockages… in all areas of life… health, weight, relationships, stress, anxiety, depression, mental health, spiritual development… and the list goes on. Many people believe that pure willpower or positive affirmations will solve their problem, and it may… for a little while… but you will soon slip back into the old patterns. This is because the subconscious mind (remember it runs the show, not your conscious mind) needs to be re-programmed, and to do this you must bypass the “inner gatekeeper” that protects it. This is why positive thinking and a lot of programs like “The Biggest Loser” and “Boot Camps” tend to fail… , it wasn’t through a lack of commitment and desire to change… something was missing from the formula. They focus on the conscious mind or the physical body and are not addressing the real problem… the subconscious emotional blockage. Yes exercise is an important of a healthy lifestyle but is not the be all and end all of weight loss and, if done excessively (over-exercising), can become a problem of its own… what is the emotional trigger behind over-exercising or the obsession with bulking up and poisoning the body with weight-gain supplements? Most diet and weight loss programs rely on external motivation and that’s exactly why they fail… it’s not your fault… you have just being given the wrong recipe. Thankfully there’s a simple weight loss or rather emotional weight release method you can learn which is designed to erase practically any dysfunctional emotional behaviour pattern. Visualise having the capability to eliminate any kind of detrimental block which is preventing you realizing what you desire in every area of your life, and living the lifestyle you always desired. This approach is NOT yet another self-help technique… it is a subconscious mind paradigm shift method that enables you to clear away the memories, encounters and self-limiting belief systems which have trapped you inside a self-defeating and self-destructing sequence… and get rid of them permanently! Perhaps you have sensed that maybe you might be self-sabotaging your life but cannot comprehend exactly why? If you responded yes to the above question then this unique training course is designed for you. This is NOT a weight-loss or diet program but a emotional weight release solution. Discover how you can release unwanted fat out of your life straight away and remove it permanently… imagine never needing to shed weight ever again! We refer to this method as the zero resistance weight release solution and it works on the subconscious and emotional level, and that is the location where the genuine challenge with gaining weight exists. The actual difference between you and your optimal bodyweight is related to your current emotionally charged fat survival switch… it’s actually a mind body relationship. The true secret to getting rid of unwanted weight resides in the psychological, emotive and spiritual stress triggers, and weight loss is usually simple and easy once you deal with these kinds of activators. You need to understand precisely why these triggers keep your fat survival button on and, you must learn the way to switch those triggers off! When you get this approach correct the remainder is easy and you simply won’t believe how rapidly you’re going to get positive weight loss effects. Diet plans are not effective and will never ever work until this switch is off and, in order to accomplish that we have to align the subconscious and conscious minds. 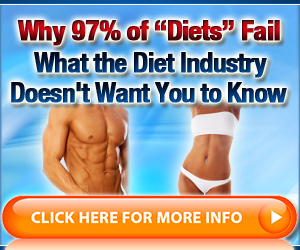 Absolutely no dieting will be necessary when you get this alignment right; you are going to lose weight easily, effectively and effortlessly. This is not a weight loss or diet program but a weight release solution. The zero resistance weight release solution works on the subconscious and emotional level, which is where the real issue with weight gain resides. Most diet and weight loss programs rely on external motivation and that’s exactly why they fail… it’s not your fault, you have just being given the wrong recipe. The difference between you and your ideal weight has to do with your emotional fat survival switch… it’s a mind body connection. The key to removing excess weight lies in the mental, emotional and spiritual stress triggers and, weight loss can be effortless when you address these triggers. You need to know why these triggers keep your fat survival switch on and, you need to know how to turn those triggers off! If you get this right the rest is so easy you will not believe how quickly you will get results. Diets don’t work and will never work unless this switch is off, and to do that we need to align the subconscious and conscious minds. No dieting is required, if you get this alignment right, you will lose weight easily and effortlessly. Dr. Robert Anthony’s zero resistance weight release solution will end your struggle with weight forever. Your journey to the body and life you deserve starts today.